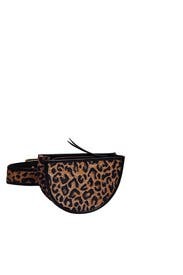 Add a dash of on-trend leopard print to your ensemble with this lightweight straw belt bag by Poolside. 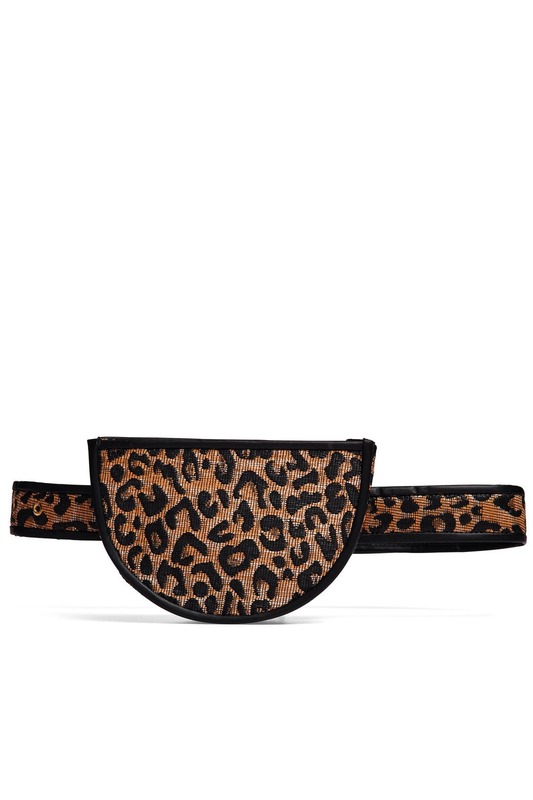 Leopard print straw belt abg with black leather trim and backing. Top zipper closure and adjustable belt (26.5" - 38.5" long). 5.5"H x 8.25"L x 2.25"D.